Download the IPWG Android application! Model European Union Mainz (MEUM) is a simulation of European politics that provides young Europeans with a first hand insight into the internal proceedings of the European decision-making process. For the third time now, we bring together skilled and motivated young Europeans in the city of Mainz, Germany. Our participants will be provided with the opportunity to slip into the roles of MEPs, Ministers and Journalists, to experience the city of Mainz as well as its culture and people, and to meet a lot of new people from all over Europe. Our ideal participant should be an enthusiastic European, that likes politics and slipping into a role for a few days. Our goal is a high quality event which can only be successful, with high quality participants. You may get the application for this wonderful event just by clicking on the title of this post. 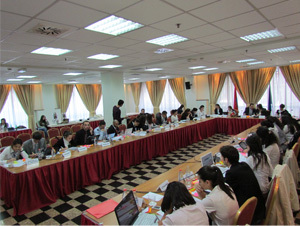 On 22 October AEGEE-Yerevan Youth NGO and the EU Delegation to Armenia organized the “Model European Union 2011” (MEU 2011). Around 35 Armenian students were selected to participate in the event through competitive procedure from various regions of Armenia. The aim of the conference was to stimulate civic activism and improve EU knowledge among young people. During the Conference the participants undertook the roles of Heads of State and Government of the 27 EU Member States as well as the EU high-level officials. The delegates made their decisions in the context of the current political forces and pressures within the EU member states, taking into account the national interests of the states they were representing. Mr. Onno Simons, the Head of the Political, Economic, Press and Information Section of the EU Delegation to Armenia, who participated in the official opening and closing ceremonies of the conference, emphasized in his welcoming speech the importance of organizing such kind of events and asked the participants to be constructive and actively participate in all activities of the conference. The event was organized in Armenia for the first time and is planned to become annual. Many members of IPWG, including our Secretary Armenak Minasyants, who was the main organizer of the event, participated in this wonderful event and in IPWG we truly believe that such events shall be promoted around our Network and would be useful for many and many locals. 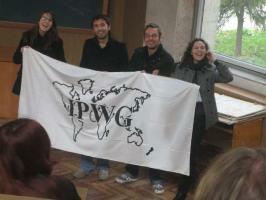 IPWG is glad to introduce its new board members for 2012 term. Please, visit 'Board' page to learn more about them. This article was also published on AEGEE-Europe’s blog! A criminal or a peace-warrior? Today we learn how to sell a crisis! And we would appreciate your comments on that! During the AGORA Leiden a new board was elected. In order for you to get to know them a little better we posed 6 small questions and got their answers. For them, please, visit our official blog. During the second day of the AGORA Kyiv it was time for the IPWG to present the Activity Report. 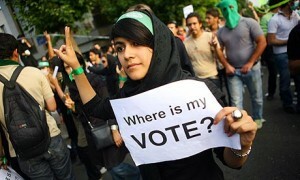 Since Magusa, we have managed to organise a board meeting in Warwick between the 12 and 14 June, we had an online debate with our members on 23 June about the election results in Iran. Then we moved to Thessaloniki for the European Citizenship Training Course in October. Furthermore, we have been present in several Network Meetings, such as the ones in Heidelberg and also Thessaloniki, where we tried to show our work and the possibilities that we offer to the members of the International Politics Working Group. 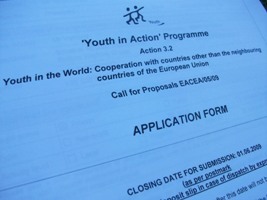 Last but not least, IPWG applied successfully for the Youth in Action grant for the India-South Africa pillar of Beyond Europe!!! All members and other AGORA participants were invited to listen to the Activity Report and ask their questions to the board members, who were holding proudly their flag during the whole presentation!!! European Citizenship Training Course Thessaloniki 12-18 October!!! AEGEE International Politics Working Group and AEGEE-Thessaloniki are very happy to organize the 3rd edition of European Citizenship Training Course, on 12th-18th of October. After Koln and Prishtina, Thessaloniki will host the important training for the promotion of Active Citizenship! IPWG's application for YiA 3.2. is approved! 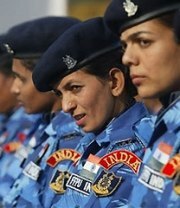 On June 23, an online discussion was held by IPWG. The main topic discussed was the current situation in Iran. During the debates some very important and controversial questions were raised. Due to complexity of the issue the discussion also touched the problem of Israel and US regional policy. Still, a lot of questions remain without answer and need more detailed and thorough consideration, which is expected from our next meetings. We were very happy to welcome Ana, Anatoli, Emmanuel, Ilker, Marcin, Serkan, Thomas and Vera, and we want to thank them for expressing interest and contributing to launching the IPWG initiative. We hope that online discussions will become our good tradition and we encourage all of you to be part of the IPWG history! 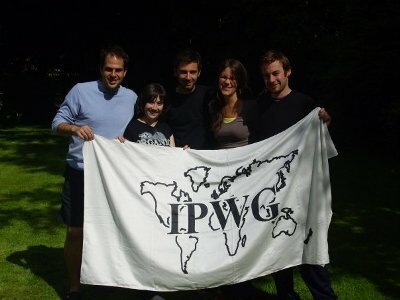 From 12 to 14 June 2009, the IPWG board meets in Warwick, UK, to plan the activities and strategies for 2009-2010.